Here are some of our specialty tours, but we have several other more general categories for tours. Contact us and tell us what you want to do! We can help you build your own personal tour! A walk through American history from the Jefferson Memorial through FDR and MLK to the Lincoln Memorial. We will discover what this definition meant at his time and how it later expanded to include all people. Martin Luther King had something quite important to say about this line in one of his most famous speeches. King's "I have a Dream Speech" occured at the Lincoln memorial, another spot on our tour. Walking through American history through the memorials of Jefferson, FDR, MLK, and Lincoln will help us discover the stories behind the story that we all know. We will start at the refreshment stand at the Jefferson Memorial and walk through Franklin Delano Roosevelt Memorial and D.C.'s newest memorial, the Martin Luther King Memorial on our way to end at the Lincoln Memorial about an hour later. Let’s start this walking tour at Arlington, House, the Custis–Lee Mansion, atop Arlington National Cemetery. This is one of the most beautiful views of Washington and you’ll see why the Army of the Potomac seized Arlington House overlooking DC to prevent a rebel invasion. We’ll see sample slave quarters, a tiny museum dedicate only to the legacy of Robert E. Lee and model of the Freedmen’s Village that existed on the grounds of Arlington Cemetery until the early 1900’s. Then we’ll head back towards Ft. Myer and see the statue of the one armed General Kearney of New Jersey, the graves of Capt. Abner Doubleday of purported baseball fame, the quartermaster of the Union Army Gen. Montgomery Meigs and the effigy of his dying son. Then we’ll see some of the “colored” graves including surgeon of the USCT Dr. Augusta as well as a man who was a slave of the Lee’s and yet stayed on to work at Arlington Cemetery after emancipation and the 13 th amendment. Next we’ll walk to the Confederate Soldiers Memorial and the sculpture by Moses Ezekiel. We’ll see the grave of Gen Longstreet and finally, the grave of dubious hero of Gettysburg, Gen. Dan Sickles. Our tour will end as we pass through the Gen. McClellan Gate (he almost defeated the President in a race for Lincoln’s second term) and arrive at the Visitor’s Center. Check out our calendar below to find a date for your tour! Thank you so much for a wonderful tour. We all really enjoyed meeting you and thought you did an excellent job! We want to thank you for being so accommodating and going with the flow . We will definitely recommend you to everyone. If I make it back in the spring with my mom I will be sure to contact you. Best of luck to you. Thanks again . Really enjoyed my tour with Paul. He was very knowledgeable and imparted information that I had not heard before. This is the way to explore a new city- not on the commercial tours. Kudos. I was in DC for a conference. While on a break, I wanted to walk around the Mall since I hadn’t been to Washington since high school. Instead, I decided to the the Vice-presidential tour. I’m glad I did. I visit Washington with my family all the time. We usually go to the normal “tourist” spots. 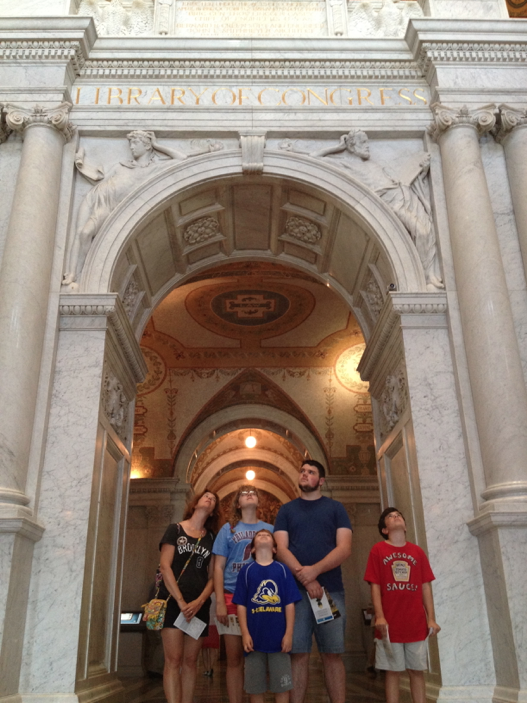 Permanent Tourist in DC showed us DC like we had never seen it before. We learned many new interesting facts about the city. I would recommend a PTDC tour to anyone. Contact us via e-mail or phone in order to ask questions about our tours, make a reservation. One of our representatives will respond to you shortly. Follow us on Twitter using the link on the homepage for daily updates on historical information and happenings in and around the D.C. area! Permanent Tourist in DC is a boutique tour company providing scheduled tours or tours customized to meet your interests and/or time constraints. Permanent Tourist in D.C. founder, Paul Mazzuca, has lived in many places around the United States, but has called the Washington, D.C. area home for more than thirty years. 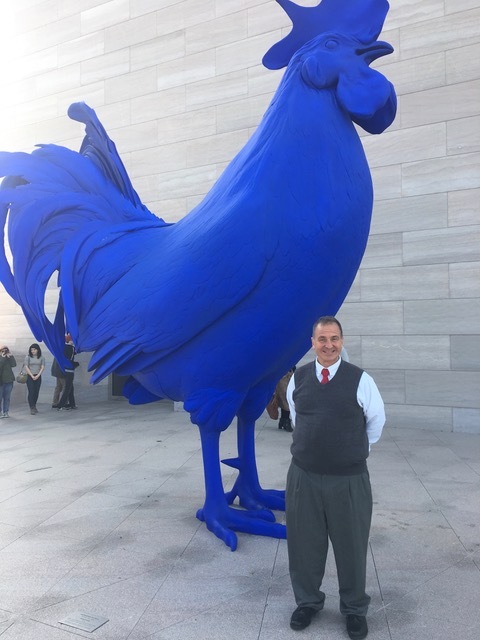 Mr. Mazzuca has spent years discovering and uncovering little known facts, stories, and folklore of our Nation’s Capitol and enjoys sharing Washington, D.C. with others. Let Permanent Tourist in D.C. share our experiences with you, so you can Visit D.C. Like a Local. Permanent Tourist in D.C. is a boutique touring agency. Really enjoyed my tour with Paul. He was very knowledgeable and imparted information that I had not heard before. the Mall since I had not been to Washington since high school. Instead, I decided to do the Vice-presidential tour. I am glad I did. View our testimonials from various customers! learned many new interesting facts about the city. I would recommend a PTDC tour to anyone.